I love the being able to ave everything in one place. lightweight even with most slots filled, and easy for me to open, and have the RFID on top of that. Thank you for caring this piece. So useful and worth the money. Love the durable material. I use this as an everyday wallet a great color and cool features. This is perfect for me. Not to small yet not to big and bulky. 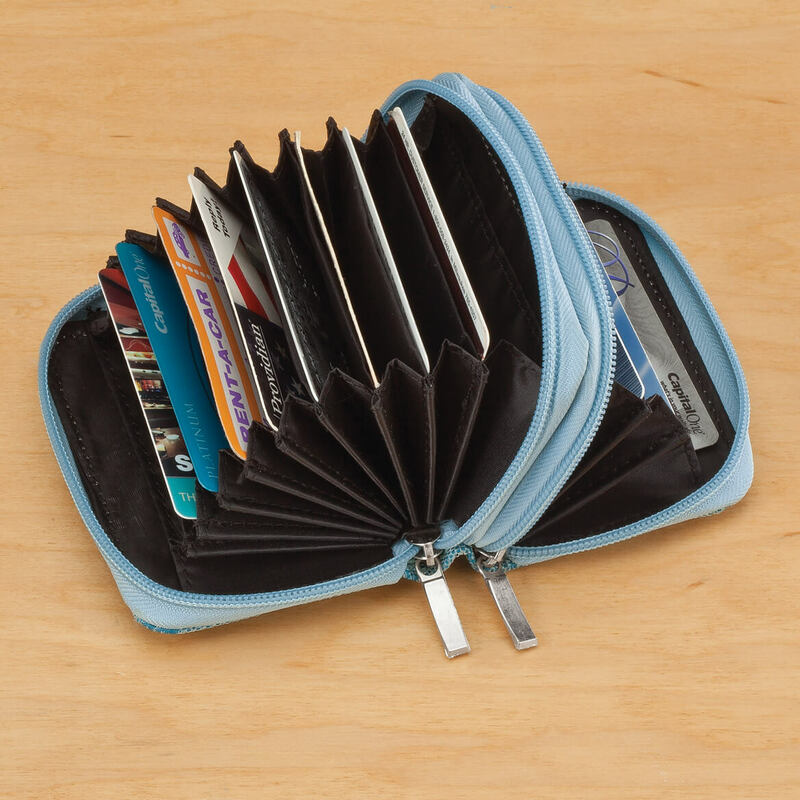 This wallet has a lot of compartments. It is well made, affordable and the gray color is perfect. Added bonus is the RFID lining to prevent identity theft. No more digging through all my card to find the one I need. The compartments show all the card easily. I probably would buy this over the metal ones. It is better than the medal ones you buy but the zipper does catch every once in a while. 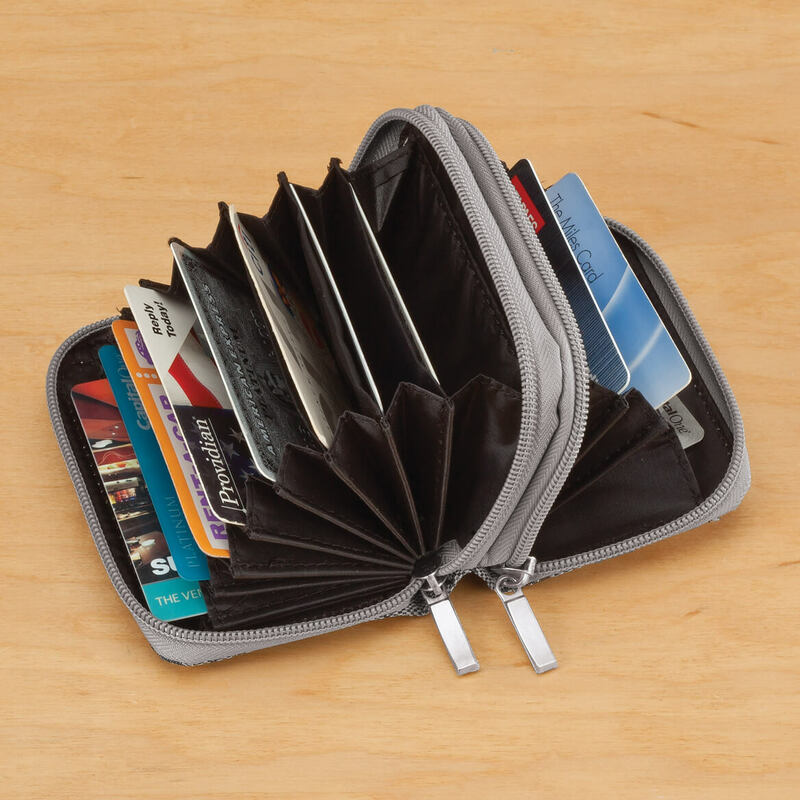 Great for all my credit cards and also I can carry my money. I love the safety factor, cards would not be easily read by a thief. My major concern is that it could easily be lost if hand carried. How do I attach it to me if my hands are full? I like having to sections, but it is very difficult to remove and then replace my cards, debit and credit, medical, etc, because the individual sections are too short. I'm looking for something to replace this. 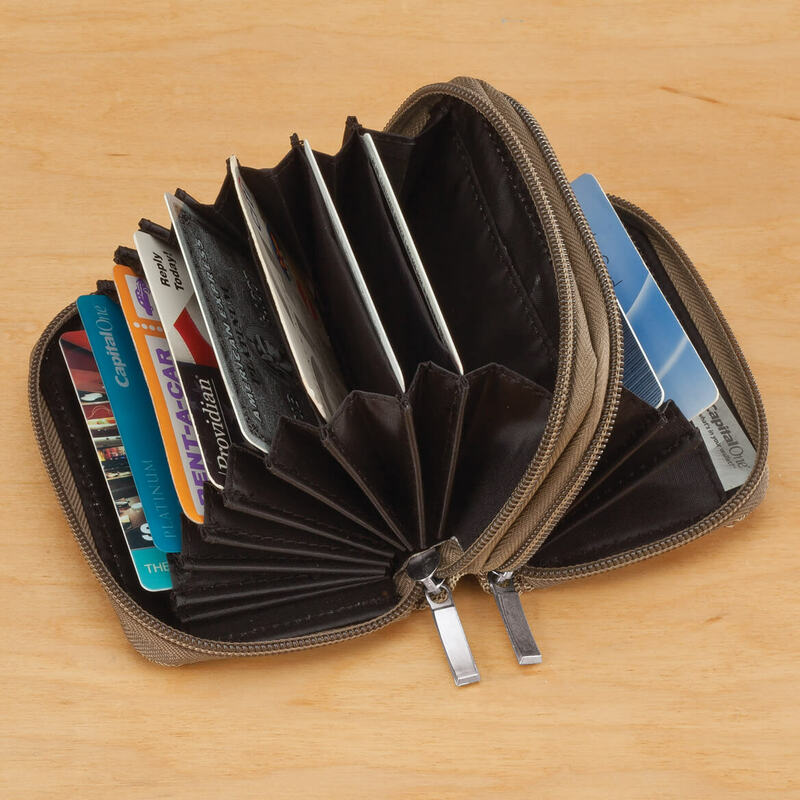 Have had a wallet this style which I've loved but it is dark brown and very worn. I was looking for the same style and love the color of this one. Ive gotten so many credit cards, bank cards, and mbrshp cards that my regular wallet is too fat and Im unable to snap it shut. 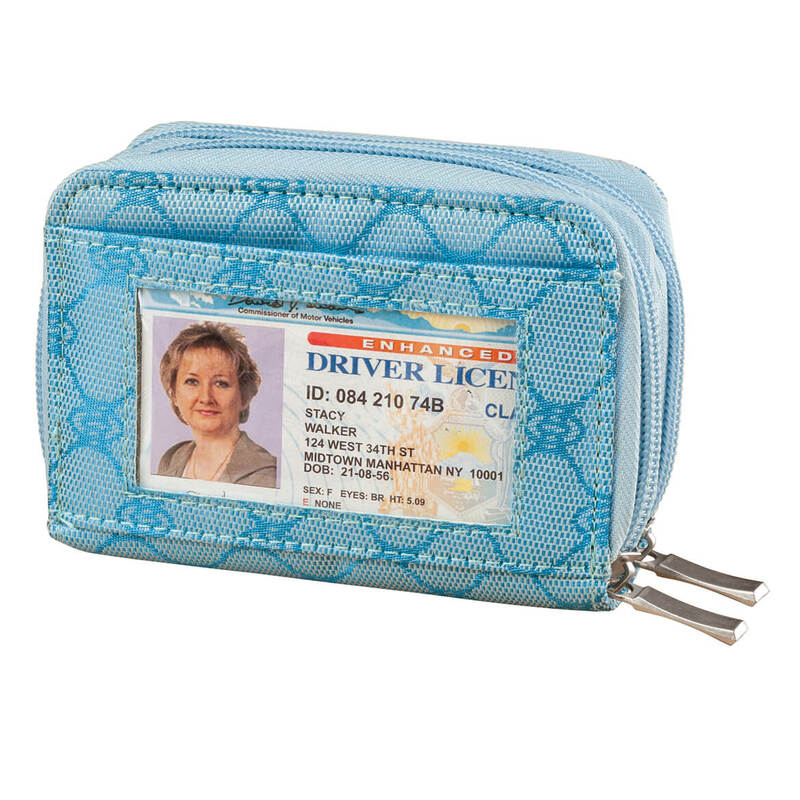 The RFID protection gives me peace of mind as well. Have recently been convinced of the need for the RFID. This should suit me. I like small wallets and opening my wallet to see everything. Threads started coming out from edges after a month or so used. I always wanted a small compact wallet. But, the quality was not as expected. Had one similar and loved it. Figured it would hold my cards better & more of them. I needed another wallet and this one looked large and durable. I needed a new wallet! Good price and it is smaller than what I was using. I like it,. My friend saw mine and like it! There is so much theft going on with credit cards and I hope this will deter them. For the safety of my cards. How many cr. cards does it hold? BEST ANSWER: i have 6-8 in right now, but will hold at least 4 or 5 more.plus, if you are careful you might be able to hold more, if you double in each packet. Hope that helps. 12 if you put one in each slot. The middle slots I can put 2 in each.